It’s holiday season once again. A cold wind whips snowflakes through the air, everyone is bundled up with rosy cheeks and noses, and bells are ring ting tingling. It’s the time of hot cocoa and candy cane swirls. I love this time of year. I even love holiday shopping! I know it can be overwhelmingly crowded in the malls, but picking out the perfect present for each of my friends and family infuses me with the holiday spirit – I can’t help it! I may be biased, but I truly believe that books make the best gifts. They’re one size fits all, always in style, and don’t require instructions or batteries. Plus, books are magical! People of every age love a good story, but they can be particularly special for young people. Young adult fiction is so full of adventure, romance, and memorable characters that adults are reading it more than ever! So, whether you are buying books for yourself (guilty as charged) or others, Frenzy has put together a list of the best books to buy for the young ones in your life­ (or for the young at heart!) We’ve included YA, middle grade, and picture books, so let the spirit of gift giving take over! This is the second book in Kenneth Oppel’s hugely popular YA series that follows a young Victor Frankenstein and his twin brother, Konrad. In Such Wicked Intent, Frankenstein discovers a portal into the spirit world and sets off on a dark adventure full of power and passion. Combining supernatural elements together with drama, mystery, magic, action, and a steamy love triangle, Such Wicked Intent will not disappoint the YA fan on your list. And if you’re not convinced, check out the trailer! Hemlock is the first in a new paranormal YA trilogy that will have older teens eager for the next installment. 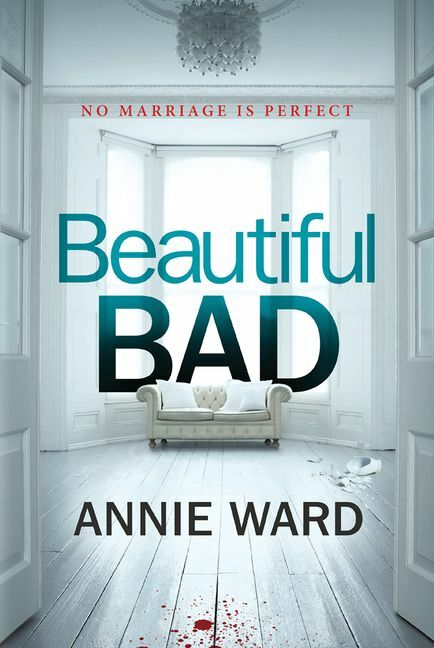 The story follows Mac, a young woman who is haunted by the death of her best friend, Amy. Amy’s death was no accident, though—she was murdered by a white werewolf. And, unfortunately, the werewolf virus is on the rise. Mac decides to investigate her friend’s death and in doing so discovers secrets that threaten her own life. Hemlock is urban fantasy at its most thrilling and spellbinding. Check out the trailer to see more! In the Delirium series, dystopian America is a place where love is outlawed. A totalitarian regime has convinced the population that love is a dangerous, deadly virus. Every person, from a certain age, is administered the “cure” for love. When Lena falls in love before she is cured, she’s forced to face some dangerous realities. This series has electrified YA readers. Check out Delirium and the second book in the trilogy, Pandemonium, for those on your list who loved The Hunger Games! YA thriller Department 19 and its follow-up Department 19: The Rising have amassed a devoted following of teen readers, and for good reason. The chilling series tells the story of Jamie Carpenter, whose mom has been kidnapped by ancient vampires. Jamie finds himself in Department 19, a secret government agency that deals with these strange and sinister creatures. Watch the teaser trailer online to see what all the fuss is about! If you’re into zombies, this is the book for you. “Master of horror” Darren Shan is back with a “fresh and fiendish new series” that focuses on Irish teenager “B Smith”. Smith is more concerned with surviving high school than he is with surviving a zombie apocalypse—that is until he sees the carnage spreading across the U.K. This is the first in a suspenseful and scary YA series that puts a new spin on the undead. Perfect for those YA fans who want less romance, more entrails. The next two books in the series are due to come out in 2013! This riveting debut novel explores the fantasy world of Bath: a place where faeries and humans coexist. But Bartholomew Kettle is neither a faery nor a human; he’s a “Peculiar”— a changeling­. And as such, he doesn’t fit in anywhere. This charming, inventive story follows Kettle on a magical and mysterious adventure that will leave young readers spellbound. Author David Walliams has been called ‘a new Roald Dahl’ on account of his hilarious, tender, and wildly popular novels like Gangsta Granny and Mr. Stink. In Ratburger, readers meet Zoe. Zoe is an unlucky little girl who lives with a lazy stepmother, gets flobbed on by a nasty school bully, and has to put up with the evil Burt from Burt’s Burgers, who wants to turn her pet rat into a… well, you know. This is the kind of story that makes you laugh until it hurts, and it should earn Walliams some new fans along the way. This novel, which takes place in 1932, is about Polly and her older sister, Maude, who travel from Winnipeg to British Columbia to live with their grandmother and extended family on an island between Vancouver and Victoria. We don’t learn the reason for their voyage right away, but it’s slowly revealed that the two sisters share a dramatic secret that could threaten their newfound happiness on the island. Can Polly keep the secret, along with her new life? This mysterious and engaging novel is told from the perspective of 10-year old Polly, and would be perfect for young readers. Fancy Nancy has become a successful brand without losing any of its charm. Its books are girly, playful, and educational—sure to put a smile on kid’s faces! This box set features 4 popular Fancy Nancy titles and will “spark the imaginations” of all Fancy Nancy fans. For more gift ideas, check out our list of the Top 20 Gift Suggestions for the Book Lover! Included in it are some (awesome) additional kid and YA titles (but also some picks for you, too!) Happy Gift-Giving!